Domain name registrar GoDaddy helps businesses claim an online name they can use to bring their ideas and work to the world. But a domain name without a website does little good. 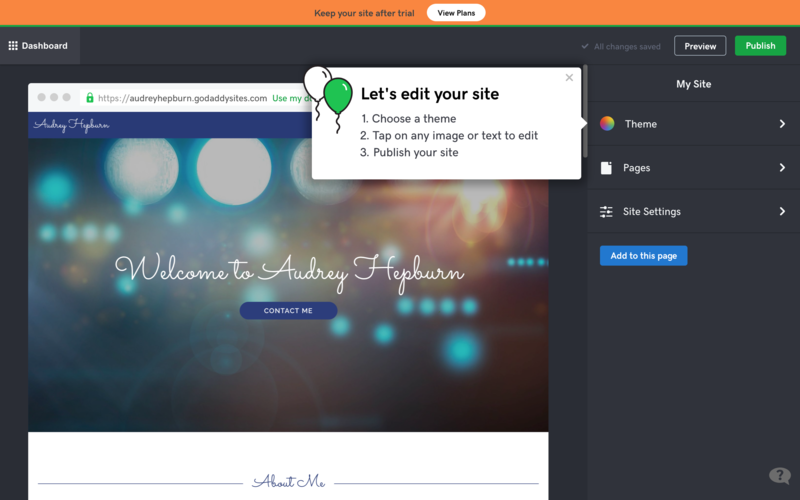 To solve that challenge, GoDaddy walks new users through a fun and interactive onboarding tutorial to help them set up their website. We last looked at GoDaddy's onboarding in November 2017. They've since made updates that make their website builder even more interactive and seamless. Like before, by welcoming users to their new home page, rather than just their domain name, GoDaddy helps drive users to their core value faster — building an online presence. 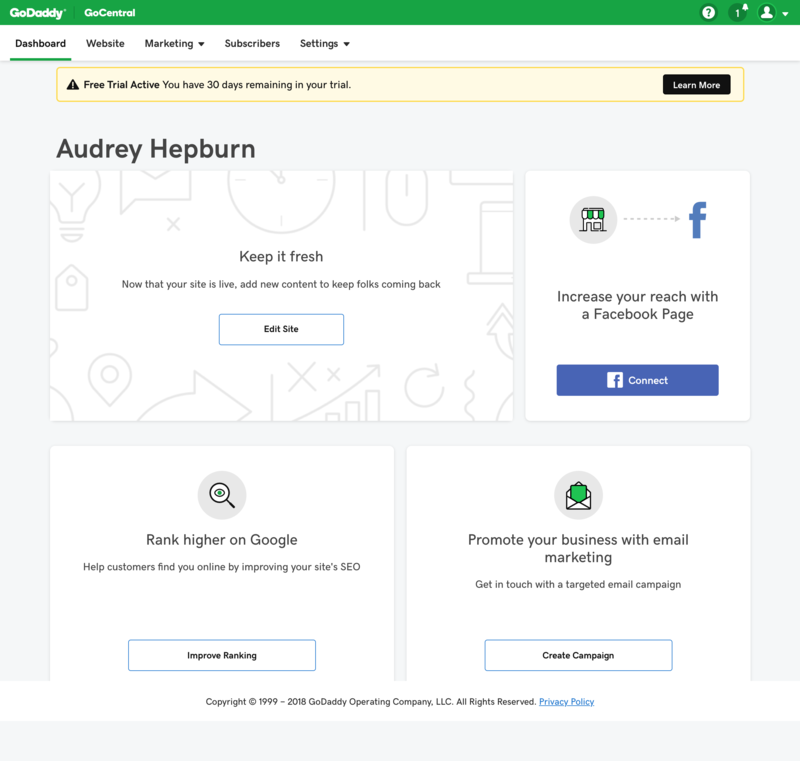 By sharing that changes can be made after the first step of adding a category and title, GoDaddy assures new users that the decisions they make right now are noncommittal. 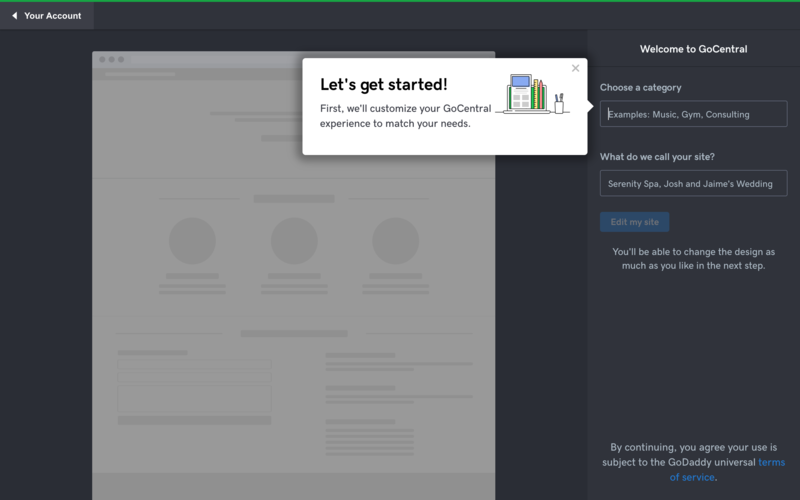 Because of this, users can feel comfortable progressing through the onboarding process. Including a step-by-step tooltip that leads to Publishing, GoDaddy demonstrates how easy it is to actually get to the last step. Their UI uses color contrast by placing a dark background around the website builder to draw new users' focus to the web template. Lastly, building the website is only part of the battle. 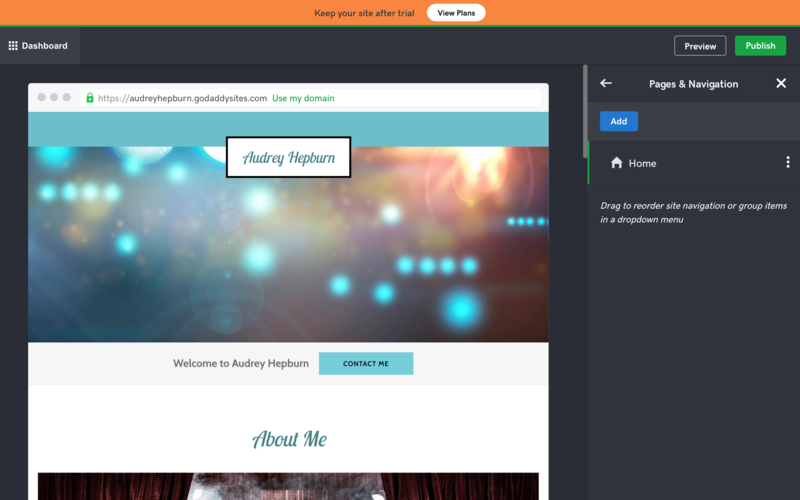 GoDaddy knows that users will need to optimize in order to get their desired reach. Therefore, they equip their Dashboard with several boxes, each specializing in an area of website optimization that users can take the time to explore.